The Year of the Rooster is coming! Spring Festival, an annual celebration of the Chinese New Year, is almost upon us. While some traditions haven’t changed much, like family dinners and lighting firecrackers, others have evolved with the times. Since hongbao (红包 or lucky money in English) went digital on WeChat in 2014, we wait every year to see what exciting new features China’s internet giants have introduced. And the Year of the Rooster is no different. Although several services backed by the Chinese internet giants have joined the battle, WeChat and Alipay were widely regarded as the two major pioneers of the war since the majority of promotions lean toward them. One interesting phenomenon for this year is that WeChat, the platform where the red envelope feature boomed, is retreating from the battle. “Red envelope has completed its historical task. There would be no red envelope promotions on WeChat for the coming Spring Festival.” Zhang Xiaolong, head of WeChat, said on the WeChat Open Class 2017. This is a surprising development given the critical role hongbao have played in getting traction for WeChat’s payment service. Facilitated by the red packet function, WeChat Payment recorded substantial growth in the past three years, posing a great challenge to the dominance of Alipay to an extent that Alipay’s founder Jack Ma defined it as “the Pearl Harbor attack”. Indeed, over 8 billion WeChat red envelopes were sent during Chinese New Year last year. But the retreat of WeChat doesn’t necessarily mean the end of the battle. Tencent is replacing WeChat with QQ, another IM tool developed by the company, which also performs exceedingly well in the sector. 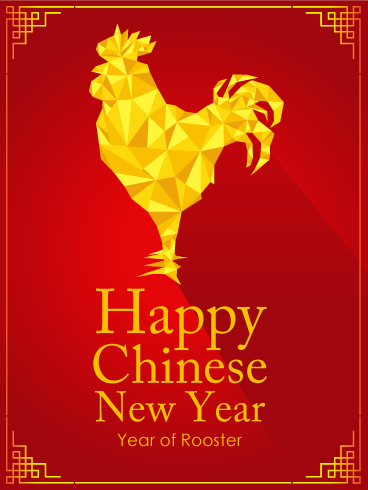 During Chinese New Year last year, over 308 million red envelopes were sent through QQ, which claims that 75% of their users are from the post-90 gen.
Alipay is continuing last year’s theme of collecting five different styles of fu (福 or “good fortune” in English). Instead of acquiring the fu cards by inviting friends of shaking your phone while watching the New Year’s Eve Gala on CCTV, you can collect the card by scanning anything with the Chinese character fu on it, no matter if it’s on the poster attached to your door or on a physical red envelope. Another difference from last year is that the 200 million RMB total giveaway will be distributed in various sums among users who have collected all of the five styles of fu cards, rather than everyone sharing the same amount as we saw year. Actually, this is not Alipay’s first endeavor to integrate new technologies with hongbao. 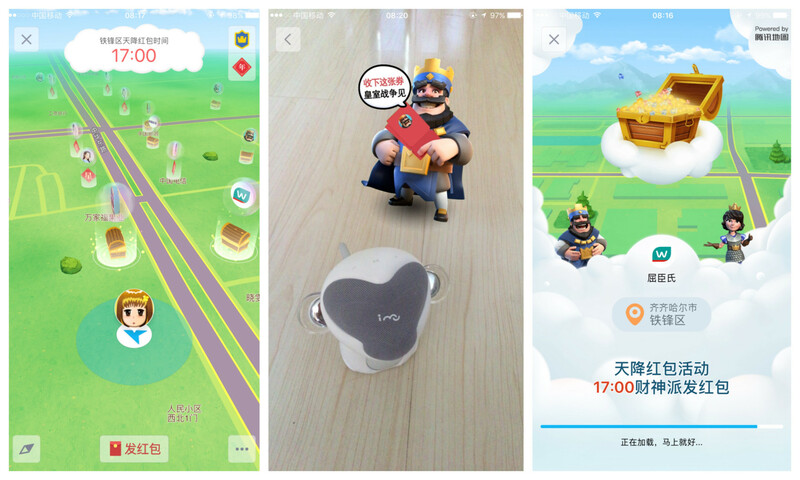 It already launched a Pokemon Go-inspired feature at the end of last year to add more gamified ingredients to the cash gifting function. Tencent’s QQ rolled out its marketing campaign for the Spring Festival this week. From Jan. 20 to 24, users in 369 Chinese cities will be able to collect red packets that have been placed in 4.25 million geographical entry points nationwide. The total red packet amount will hit 250 million RMB. Overall 127 million QQ users have participated, winning 484 million red packets as of 21:00 Jan. 20, Tencent disclosed.